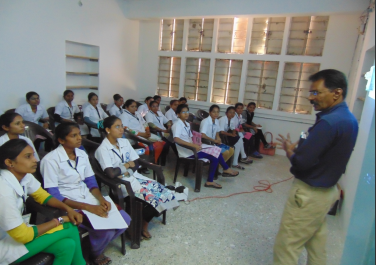 An exposure visit of the second year students of Auxiliary Nurse Midwifery (ANM) Nursing Course - from Jotiba College of Nursing, Bhandu, Mehsana district, Gujarat was organized at to BSST during the month of November 2017. The objective of the visit was mainly to understand the below things: NGO and its prevalence. 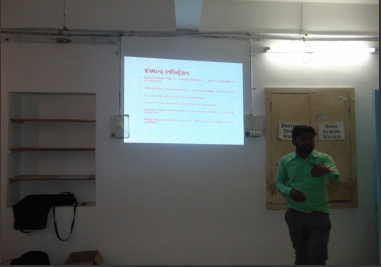 • Physical layout and facilities of NGO. • Staffing and Working pattern of NGO. • Observe record and report maintains. In all 28 students became part of this visit. They were guided and provided all necessary information as per the objective along with the question and answer session. It was a very interactive learning visit for the students as well as for the BSST team members.